last week, i put out a call for good fudge recipes + had a great response from my foodie friends. for those who have never made fudge, it traditionally calls for close watching + a thermometer to ensure the correct texture + consistency. however, there are shortcut recipes, like this one, that use marshmallow creme. the fudge uses the structure of the marshmallow for support, so a candy thermometer (+ super close watching) are not needed. 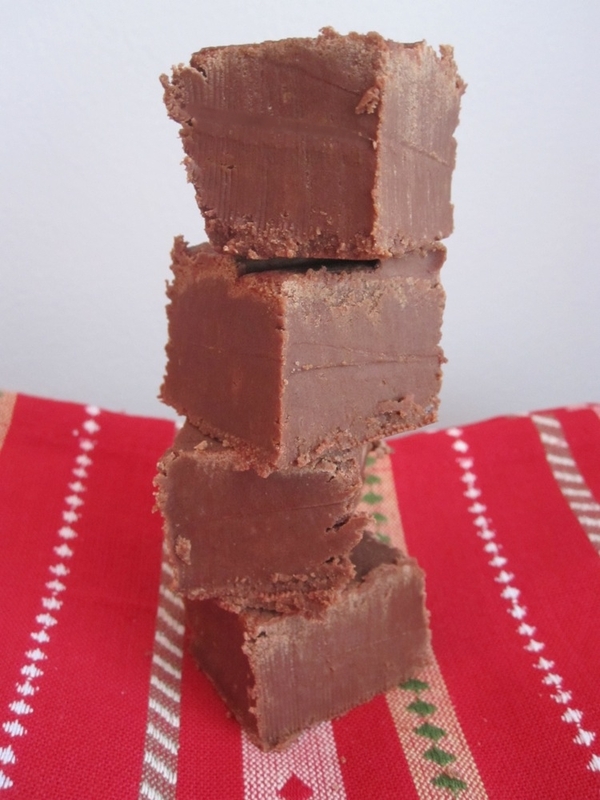 while fudge purists generally prefer the traditional method, this is a delicious, easy + failproof option that is great for those who haven’t made fudge before. i have made it both ways, + while i enjoy the traditional method, i was shocked at how quick + tasty this recipe was. it’s a fab addition to a holiday dessert table so if you’re looking for a sweet for your new year’s eve party, this might be it! line pan with foil + grease the foil. in large saucepan combine sugar, butter + evaporated milk. bring to a boil over medium heat. stir constantly + boil for 5 minutes. remove from heat. add marshmallow fluff, chocolate chips, coffee + vanilla. pour into pan. cool at room temperature. cut into squares, then refrigerate until firm. This looks yummy! 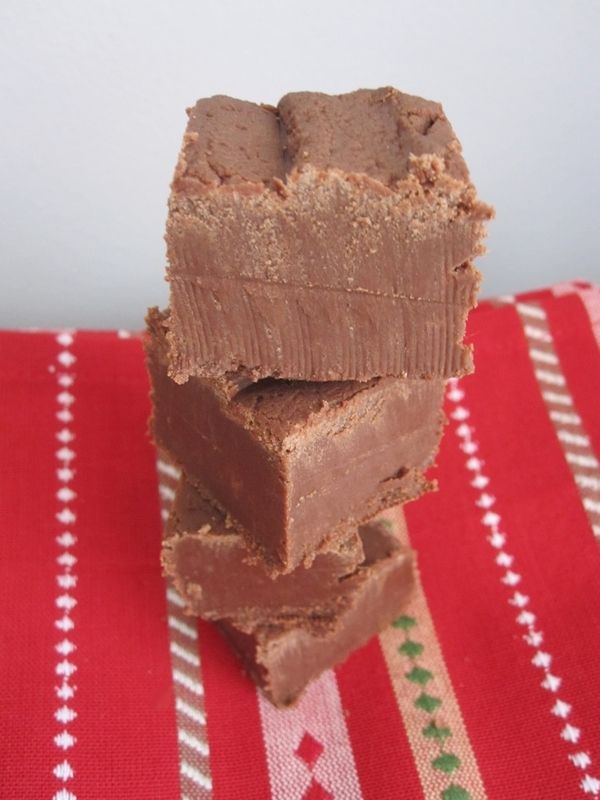 We make a bunch of different types of fudge each Christmas and this one is always popular with everyone. It is definitely a great recipe, especially for firsttime candy makers. Love fudge! Do you think could add mix-ins to this like nuts? My kids love their fudge with something mixed in. Thanks! yes, i think you could definitely something in there. the fudge is very rich when it’s plain (which i actually like) but i think it would be nice to make two batches – one with something mixed in, + one plain. i think it would be great with any type of nuts – almonds, pecans, walnuts all seem like they’d be great! enjoy!